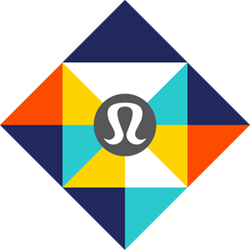 Check out what's new at lululemon.com and don't forget to join the lululemon Strava club. For every target you hit, you’ll receive a digital badge to elevate your run game. Be sure to turn your email newsletters ON to receive important updates about this challenge. Manual entries, treadmill runs and runs marked 'Private' will not count toward your challenge effort. Strava athletes who run 40 kilometers during the challenge period will receive a digital badge in their Strava feed. Participants who run 80 total kilometers will receive a second badge. Regions include: Hong Kong, China, Singapore, Malaysia, Japan, & South Korea. Regions include: Austria, Belgium, Denmark, Czech Republic, Estonia, Finland, France, Germany, Greece, Ireland, Italy, Kuwait, Latvia, Lithuania, Luxemburg, Monaco, Netherlands, Norway, Poland, Portugal, Saudi Arabia, Slovakia, Slovenia, Spain, Sweden, Switzerland, & UAE. All other regions should visit lululemon.